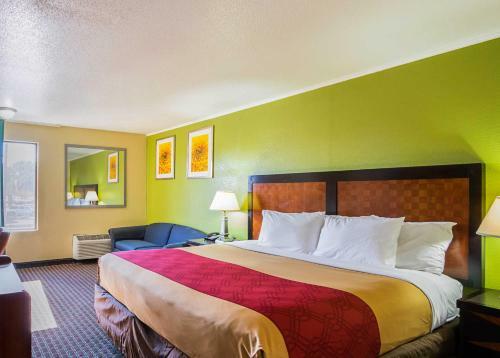 Rooms from $47.00 per night. Description This Savannah, Georgia hotel has an outdoor pool, free internet access, non-smoking guest rooms and an on-site restaurant. This hotel is also pet friendly. 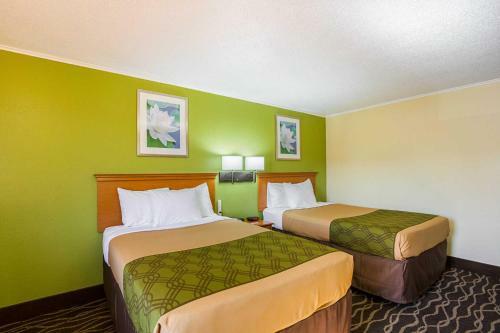 At the budget-minded Econo Lodge Garden City freebies include on-site parking internet access and local calls. 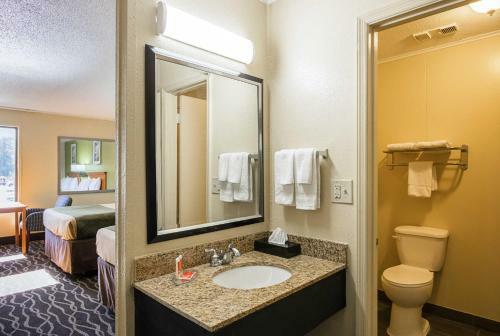 The two-story inn's 89 rooms include 40-inch flat-panel cable TVs microwaves and mini-fridges. 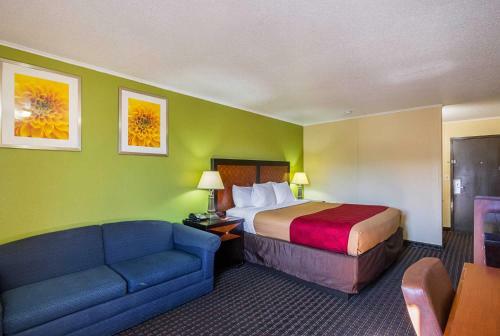 Wi-Fi and local calls are free and there's always free coffee and tea at the front desk. 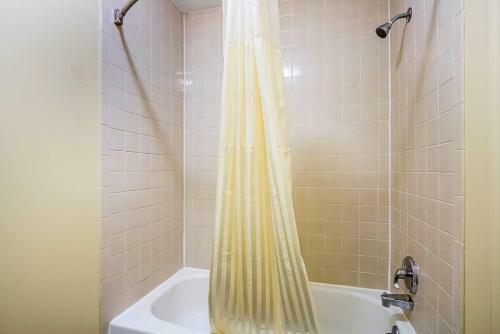 An outdoor pool and a handy guest laundry round out the amenities. 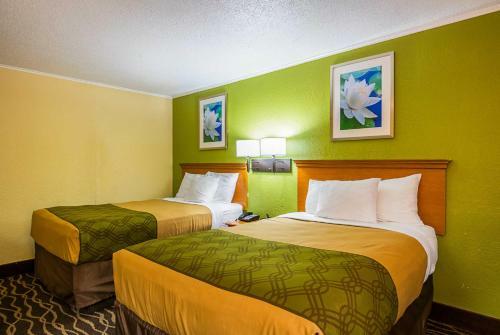 Pets are welcome for a nightly fee and parking is free. 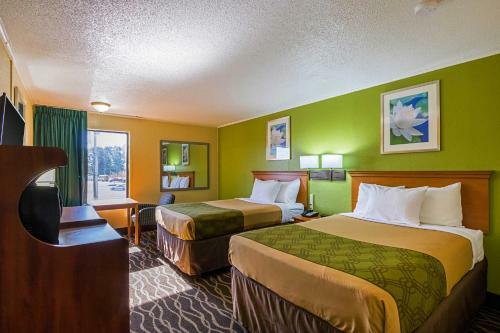 The hotel is on Highway 21 in the business district of Garden City. History buffs are about four miles away from the Juliette Gordon Low Birthplace in downtown Savannah. See historic aircraft at the National Museum of the Mighty Eighth Air Force a nine-mile drive from the hotel. The terminals of Savannah/Hilton Head International Airport are about seven miles away. 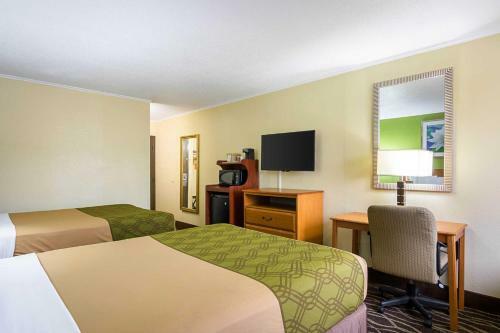 Add Econo Lodge Garden City to your free online travel itinerary.